The AGM is an opportunity for all ex-staff and pupils to contribute to the future direction of the Association. If you think you have something to contribute, please come along. It shall be held on Thursday 1st November at Bournemouth School,19:00-21:00. 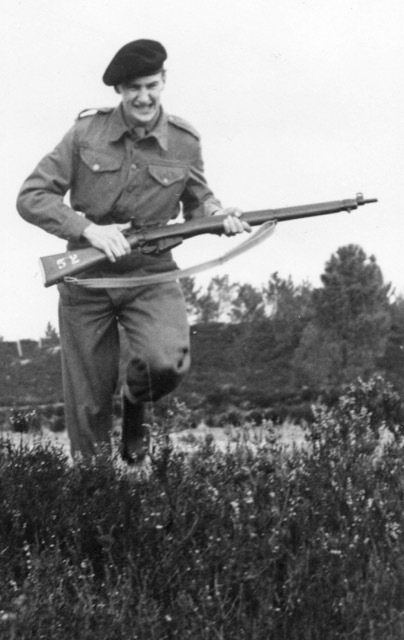 OB Roger Cowdrey has got in touch and would be interested to hear from any of his contemporaries. I was at the school from 1958 until 1965 and thoroughly enjoyed my time there. I am now 71 and still operating as an International Consultant, Motivational Speaker and Author, although I now live in Turkey and have done for ten years. I am busy writing my autobiography in between other work and have got to the period of Bournemouth Grammar School which has brought back many memories. I would be interested to hear from anyone from that period to see what they are up to. I occasionally come back to the UK to see relations and am in Brighton at the beginning of December to lecture at the Brighton University Business School, before heading up to Manchester. So if anyone is about let me know. Nicky Heavisides has enquired after the whereabouts of his English teacher from the 1980’s, Mr Jordan, who is on the end of the 4th row in the early 1990’s staff photo. Alan Hickling attended the School for just one term in Autumn 1957 after his primary eduction in Summerbee, and is looking to get back in touch with his contemporaries. Some members of the Association may remember his father, Harold Hickling, who taught at the School on either side of WWII. My greatest association with Bournemouth School is via my father, Harold Hickling, who taught there from 1928 until January 1958 (apart from the War when he served in France, Africa and India ending Lt Colonel in SEAC). 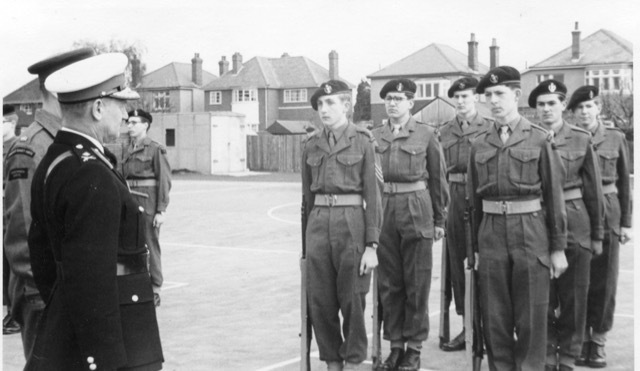 He commanded the OTC before the War and had a long involvement with The Old Bournemouthians Cricket Club. Bournemouth School continues to grow! These plans, if approved, will have a significant impact on the School’s future. We will be increasing the numbers of students joining us in Year 7, improving accessibility for those from disadvantaged backgrounds, and working more closely with other schools. This is also the first phase of a site development project to remodel, refurbish and extend our existing accommodation. If the bid is successful we hope to build a new block comprising classrooms, toilets and extended dining facilities. Such improvements are long overdue! An open consultation on the proposals is being held until Monday 9th July 2018. Comments can be made through the Bournemouth School website, by email (consultation@bournemouth-school.org), by post to Mrs Julie Wheatley (Business Manager) or in person at the open event being held at the School on Thursday 5th July (6.30pm-8.30pm). Please print the form and return it to the address provided. 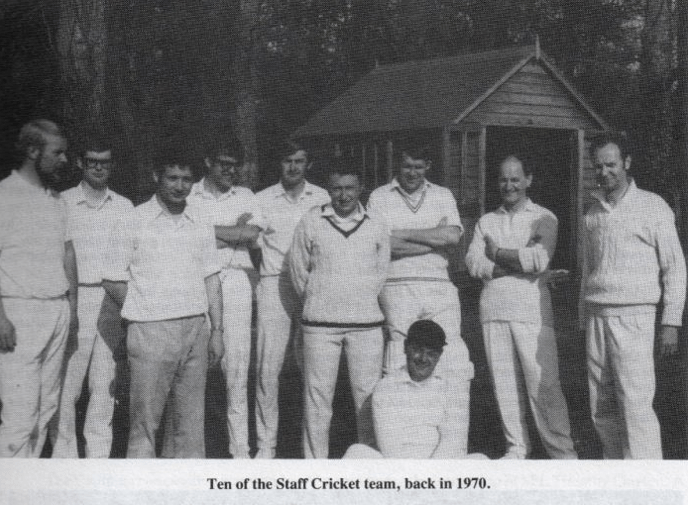 The BSA Cricket Club started life in 1969 as a Bournemouth School staff team, which played games mid-week and on Sundays either at Castle Lane on the school ground or in the surrounding countryside, often in close proximity to a country pub. As time passed and staff left or got older, the club opened its doors to include parents of pupils. With the further passage of time, the staff element of the team disappeared completely and the remit widened further to include Old Boys of the school. Which brings us to 2018, one year short of our half-century. Once again we find ourselves short of sufficient players to field a team and with a real doubt as to whether we can make it to 50 years. If there are any Old Boys out there who would like an occasional, or regular game on a Sunday afternoon (no mid-week matches these days) please get in touch with me on 01202 248211. We play most of our matches away, within an hour of Bournemouth, with a rare home game at Hurn Bridge Sports Club. Rockbourne, Wimborne, Bryanston School and Shillingstone are just some of the venues we hope to be visiting this summer. Our next game is June 3rd. We play most Sundays excluding Bank Holidays. Hoping to hear from some of you. I came across ‘Richard Barraclough of Bournemouth’ when a letter of his was published in the Times yesterday. I’m sure it must be the person I knew! It would be good to catch up with him! 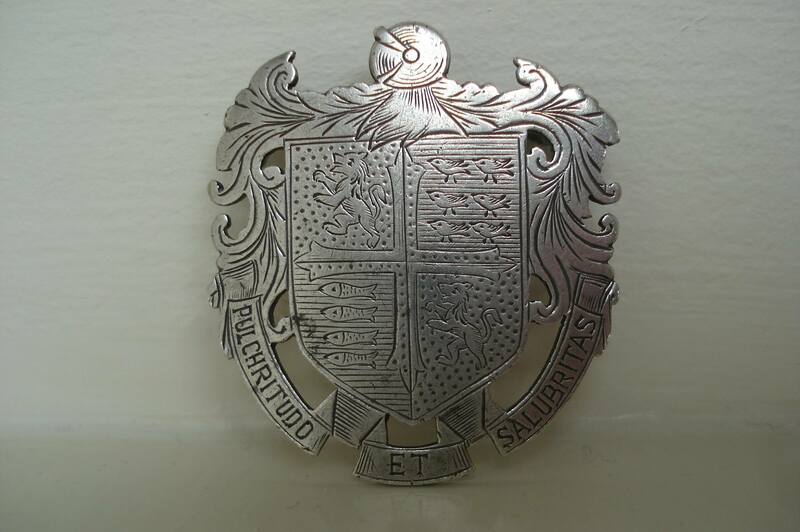 This is a prefect’s badge from Bournemouth School. It is made of sterling silver and is engraved with the names of several ex-pupils on the reverse: N. Trayfort, A. 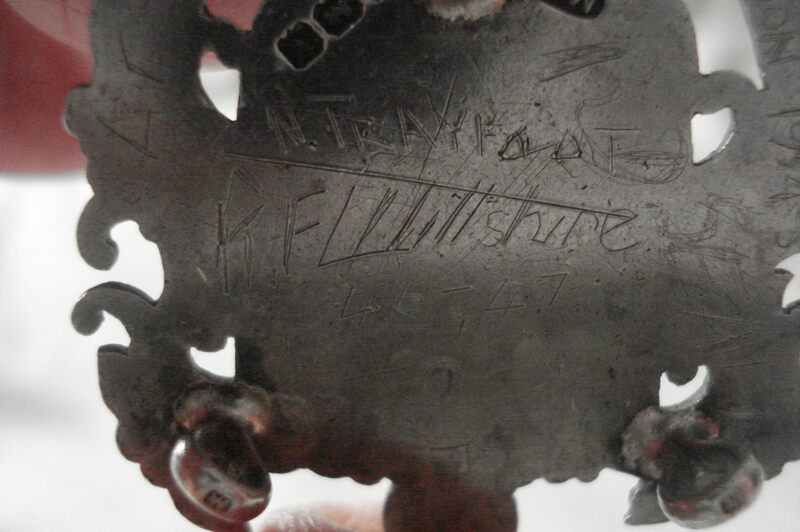 Petty, K. Flintshire (46-47), J. Yeadon (54-55) and R. D. Seall (these are the names I can decipher). It is available to anyone who can convince me they are an ex-wearer or is a close relative. 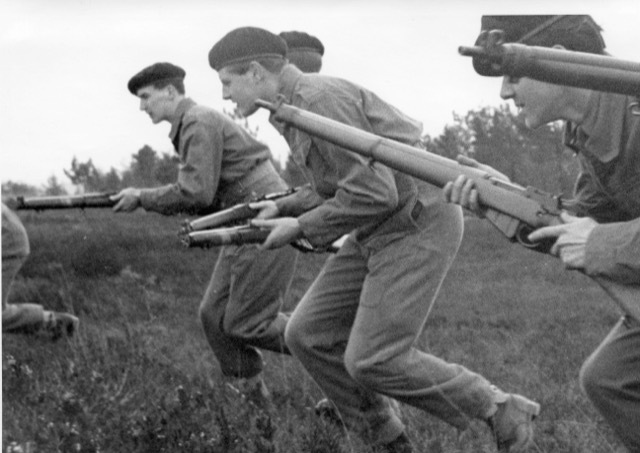 The original post can be found in the Old Bournemouthians’ Association Facebook page. Enter your email address to receive all posts to this page by email.